If you need new winter or summer tires for your Volvo, trust Uptown Volvo West Island. We will be happy to help you find the right tires for your vehicle. 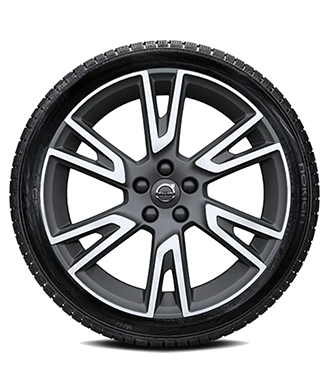 Whatever the year and model, we have winter or summer tires that are approved and designed for your Volvo. As you know, your tires are the most important part of your vehicle. They are the direct contact between your car and the road and therefore affect everything from braking to comfort and performance. They also play a major role in keeping your safe. We have a full range of tires at Uptown Volvo West Island to offer you, and they are all offered at competitive prices. It's not true that you will pay more because you buy your tires at a dealership. With our special offers and our manufacturer's discounts, we will be able to offer you competitive prices on our new tires. The Uptown Volvo West Island tire center offers all major tire brands. From Nokian to Michelin to Bridgestone and Gislaved in winter, and Pirelli, BF Goodrich, Continental and Dunlop in summer, there are many tire options at Uptown Volvo West Island. Come today and let us help you get the right tires for your needs. Once you have found the perfect tires for your vehicle, we can install them on site or store them between seasons. Uptown Volvo West Island is your number one tire center. Do not hesitate to contact us with any questions you may have regarding our tires in stock.